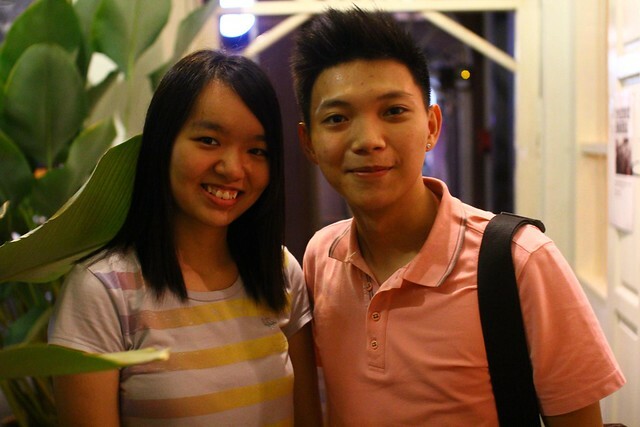 PIK NIK Food & Gathering With Primary School Friend – It’d been a while that I see and meet my primary school’s friend. 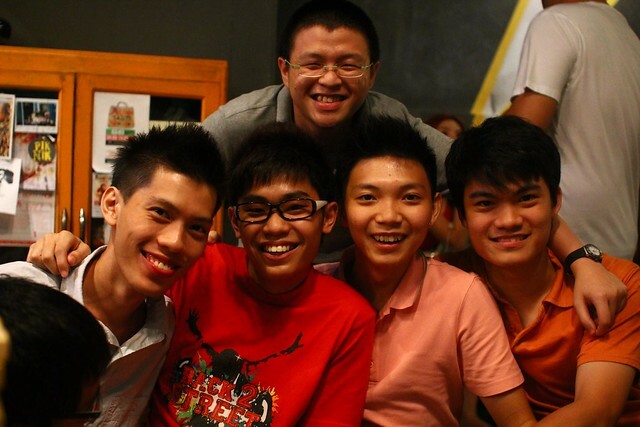 After studying in Chung Ling High School, it seems like I was lost in contact with most of them. 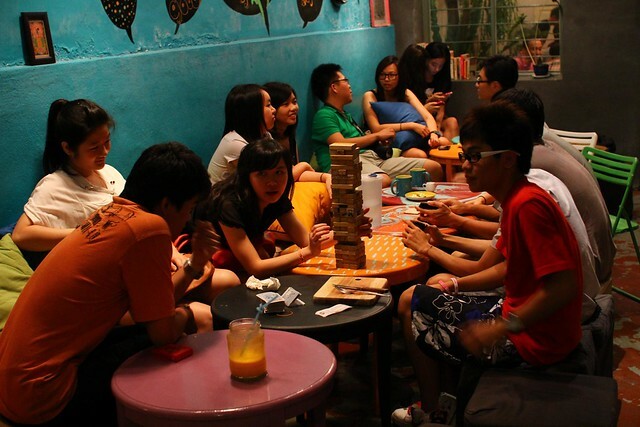 All the while I was like mixing with high school friends, only when Facebook arrives on the web, we started to communicate again. 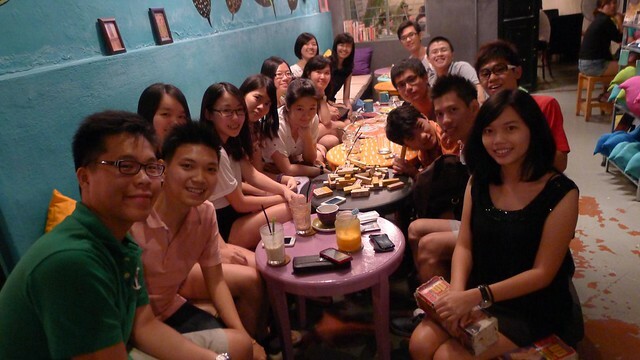 Well, it’s nice to have some nice primary school mate who organises some gathering session. 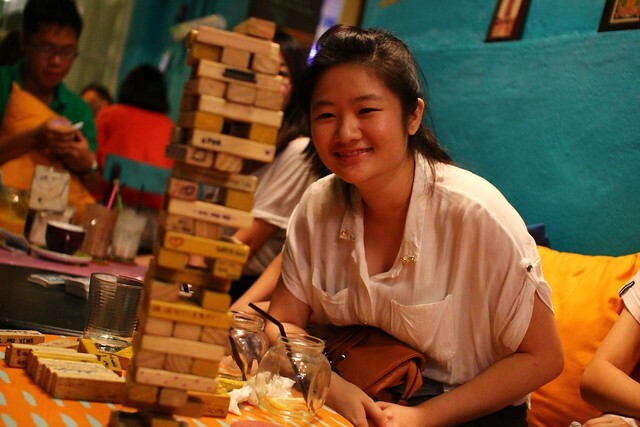 Well, thanks Joanne for organising that recent gathering session at PIK NIK when I was in Penang few weeks ago. I was pretty excited for that as I haven’t been meeting for a long long time. In fact, I did forget about a few girls in the invitation list, hehehe, but not now. Now I’ve remember all of you! No worry. 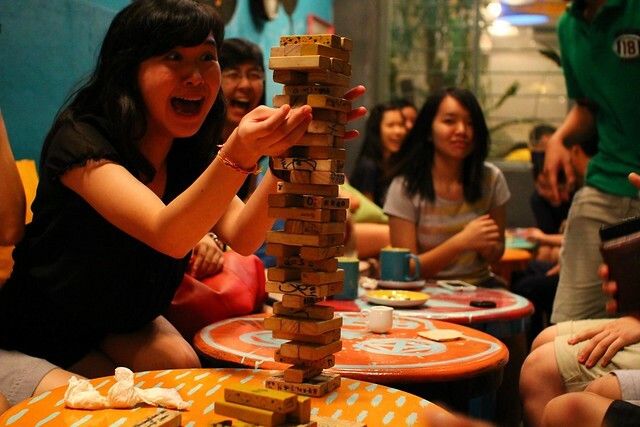 It was dinner, it was gathering, it was photo session, it was Zenga session, it was just joking around, it was reunion. Funny that I didn’t know what to talk at first, was shy at the girls, nothing much with the boys as they were high school mate. But crap and bullshits coming out of mouth after some warm up of “Hello” here and there. 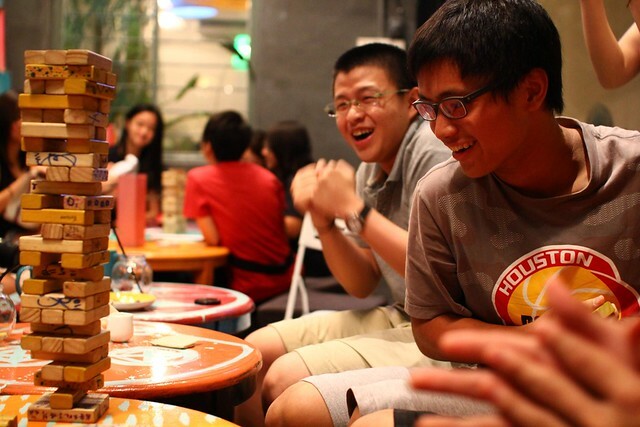 Laughter started to break the silence. HAHAHA. How about food? Not low price, but looks good! 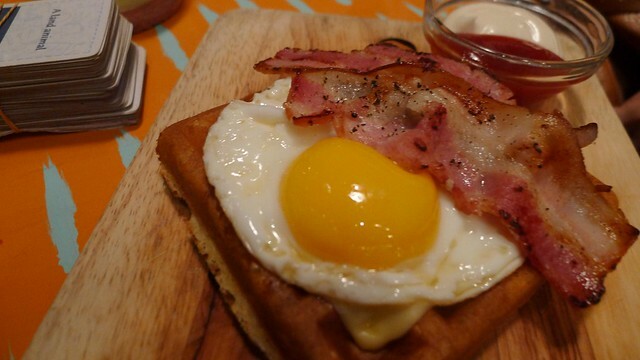 Should have tried out the smoked salmon waffle. 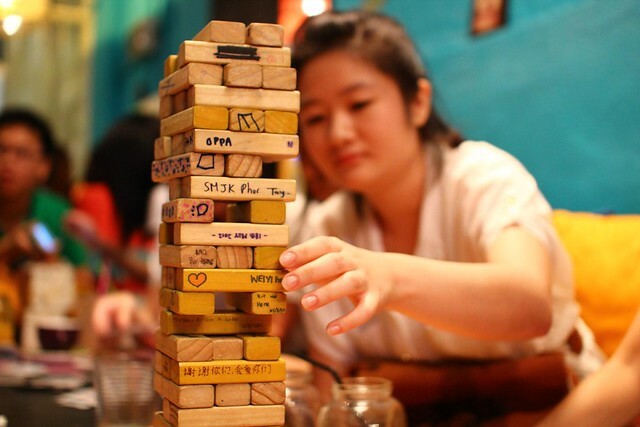 I ordered a new food in the menu – Spicy Kimchi Spaghetti and seriously…. It’s HOT AND SPICY! But with my spicy tongue, it’s still acceptable. 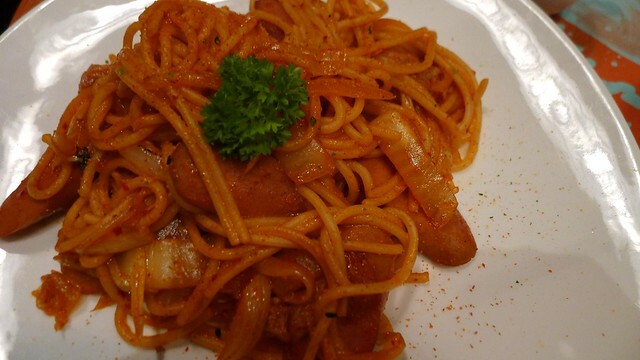 Spicy Kimchie Spaghetti with sausages. 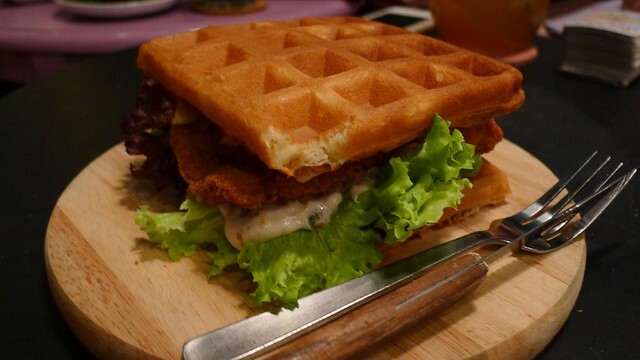 Chicken Waffle Burger. Looks yummy and very worth with that portion. 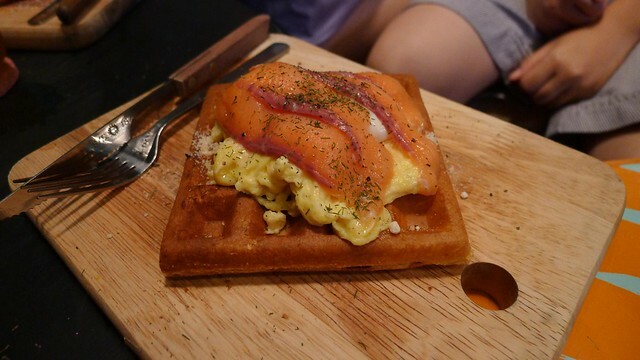 Smoked Salmon Waffle – Yums! Very good. 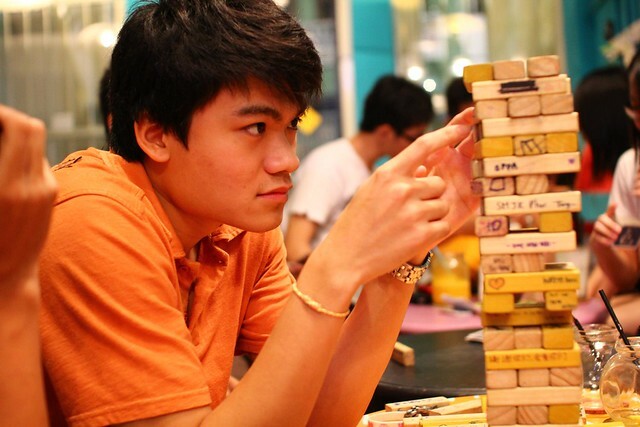 Nice expression of Vi Vien before falling off . 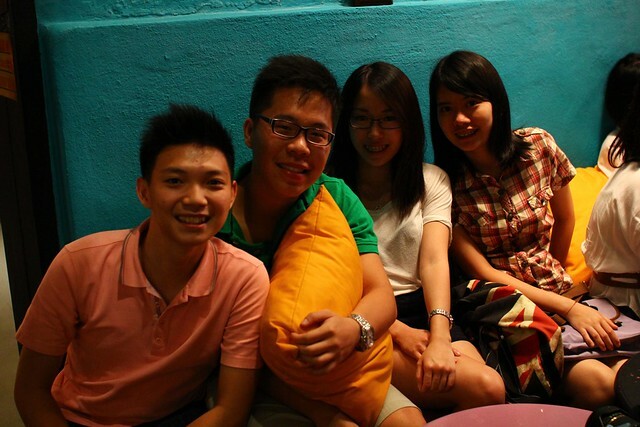 Me, Lit Chen, Joanne and Choon Yong. 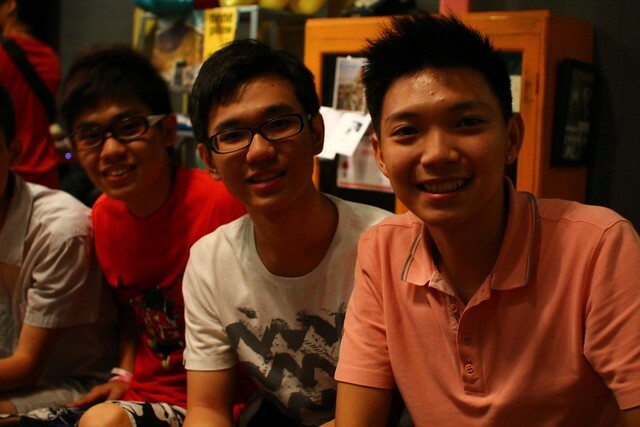 Me, Yong Fu & Ee Teng. 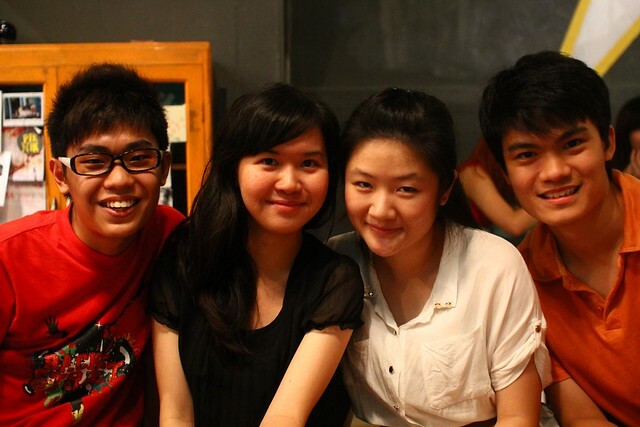 Jing Xian, Zee Yen, Chen Yong, Me. 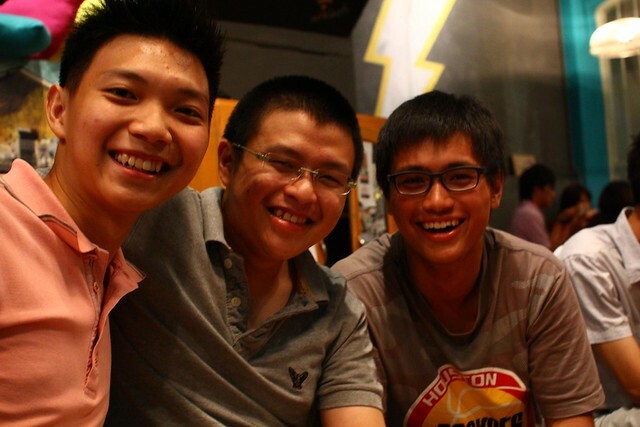 Yi Jia, Khang Chian, Me. 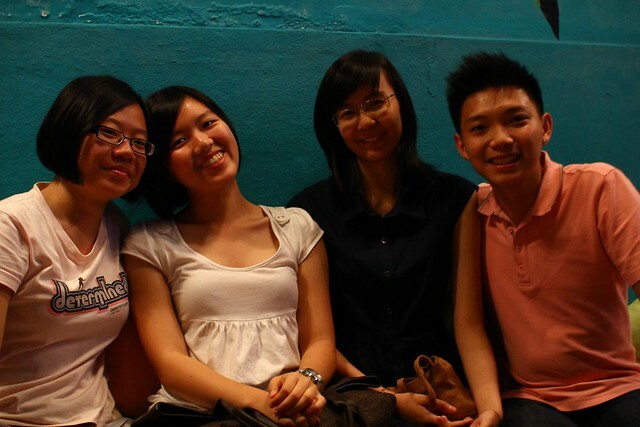 Yi Jia, Vi Vien, Minli and Renyu.